Nolan Kennedy is an actor, writer, musician, improviser and director. He is a co-founder of Letter of Marque Theater Co., an ensemble member of Strike Anywhere, a freelance lighting designer, and a teaching artist. Hailing from Chicago, IL, Nolan received his B.F.A. in Acting from Illinois Wesleyan University. NYC acting credits: Color Between the Lines, Julius Caesar, Peter Pan, London Cries, Macbeth Variations II, Same River; in Chicago: Private Lies, The Closeness of You, and Genius. His playwriting credits include Prepared Fresh, This Little Piece, Gifts, and Bully Me Down. "It's more important to create than to judge creation. In theater, we have the luxury of dismissing any reality, any consequence, any normality in pursuit of artistic expression. This removal of rules is what allows art to forage, unhindered, through new realms of thought, new paradigms, new ways of thinking. It is not precious. Art that is precious is breakable, removable, and temporary. Preciousness in art is death to its creation. I believe beauty in art has the potential to inspire, to touch, to change. This kind of beauty must be at the core of live creation. And this kind of beauty is only felt in the moment by the people who are part of it. It cannot be codified, framed, set, or even repeated. It is not precious. In art, everything can be beautiful, but it cannot be precious. To put it another way: ask what is art, not why is art." Scarlet Rivera has a M.F.A. in Performance and Interactive Media Arts (PIMA) at Brooklyn College, B.A. in Dance/Theater at Manhattanville College. For the last 8 years, Scarlet has been an actor, musician, mover, teacher, leader and producer with Irondale Ensemble Project and has played an important role in the opening and development of their venue, the Irondale Center in Fort Greene Brooklyn since its launch in 2008. She is a founding member of Band of Bicycles, a collective of musicians, artists, activists, and bicycle enthusiasts. She has also served on the board of Artistic Evolution, which devises and enacts social issue campaigns using art music performance and technology, since 2008. Scarlet considers herself an ambassador of ensemble theater practice and has been involved with The Network of Ensemble Theaters since 2005. As a professional collaborator, she has performed in a large range of places from internationally in Berlin and Manchester and to locally in the underground venues of NYC. Scarlet is currently thrilled to participate in the co-creation of a new ensemble, Letter of Marque Theater Co (LOM). starting in 2008 and is now a founding member of the Letter of Marque Theater Co. in Brooklyn. Welland is also one of the founders and executive producers of Fat Maggie Productions. STEVEN BRENMAN practices Scenic Carpentry Painting and Technical Direction in and around New York City. He studied Theatre at Trinity College (CT) and Design at Parsons (NY). Recent work includes Technical Direction of Visitations and Paul's Case (Prototype Festival);Year of the Rooster, Fast Company, and Marathon of One-Act Plays (Ensemble Studio Theater); Alice, Grace, Anon (New Georges); A Raisin in The Sun (Gallery Players); Butoh Electra (Ume Group); Floating Point Waves (Leimay) and Assoc TD for the underground Zero Festival. He is best known as the producer of Park Slope's Premier Stoop-Side Halloween Extravaganza. Much of his work is garbage. 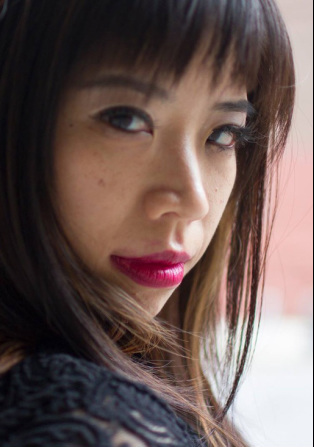 KAREN NG is a dancer, choreographer and instructor hailing from Hong Kong via New Zealand, bringing diverse and unique experience, style and taste to the production. Her skills and talents in the performing arts have brought her to NYC and has quickly established a name for herself within the underground dance scene, performing across the city at events and concerts at SummerStage, Lincoln Center, Kennedy Center and BAMcafe, as well as music videos for Tink, Basement Jaxx and Lenny Kravitz. She also enjoys teaching dance and connecting with students of all ages. With her bubbly personality, multi-faceted background, love for performing arts and event organization, Karen is an instrumental player in our ensemble's operations.